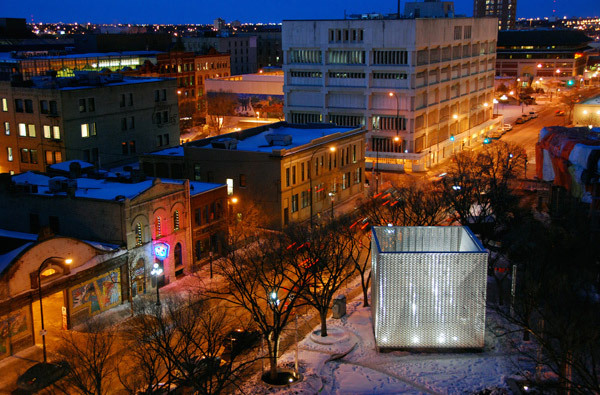 Electrical Engineer: Williams Engineering Canada Inc.
OMS Stage aka "The Cube" is an open-air performance venue set against a backdrop of historic warehouses in Winnipeg's Exchange District. Commissioned following an invited competition, the design strives to create a stage with year-round relevance for the community. 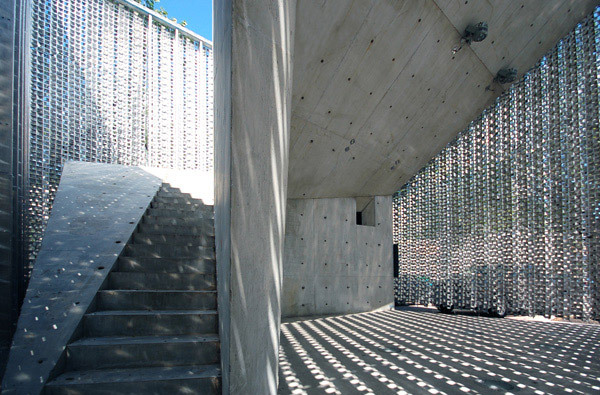 The project is articulated as a multifunctional environment that shifts from a vibrant performance space to an interactive pavilion and focal point. 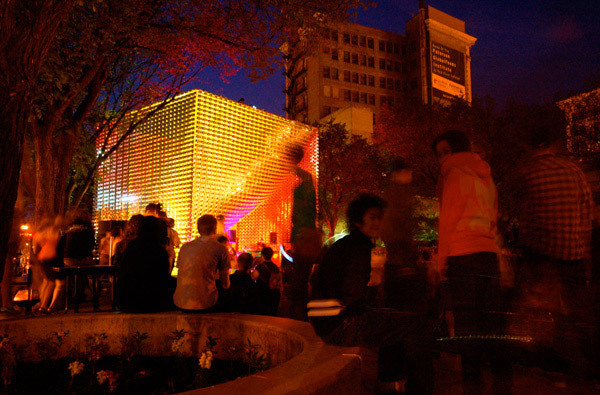 Projections displayed on the flexible aluminum skin create an ephemeral object within the park, one that changes with the seasons and lighting conditions. 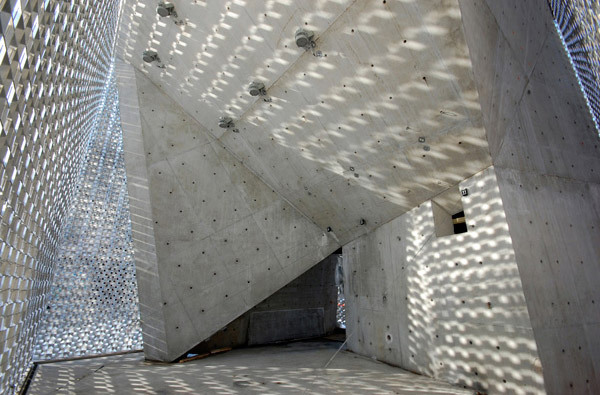 During performances, the skin draws back to reveal the stage and concrete structure within.